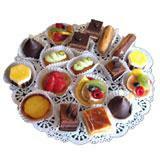 Send 1 Kg. 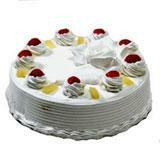 eggless sponge cake at Midnight with butterscotch flavoured icing and topped with whipped cream to all cities in India to your near and dear ones on any special occasion. 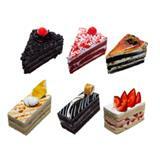 Cakes are always on high demand as birthday or anniversary gifts. 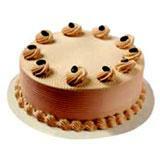 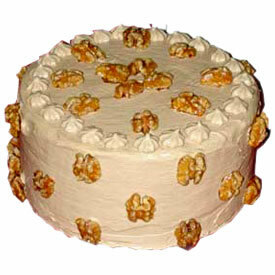 This cake can be sent along with Gifts across India anytime through GiftsAcrossIndia.com. 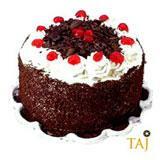 The delectable taste will surely tinkle the taste buds of your dear ones in all cities in India.